The city of Toledo gave the lake legal rights to combat farm pollution—and others may soon follow. In the sweltering summer of August 2014, nearly half a million people in the city of Toledo, Ohio were told not use their tap water for drinking, cooking, or bathing for more than two days. 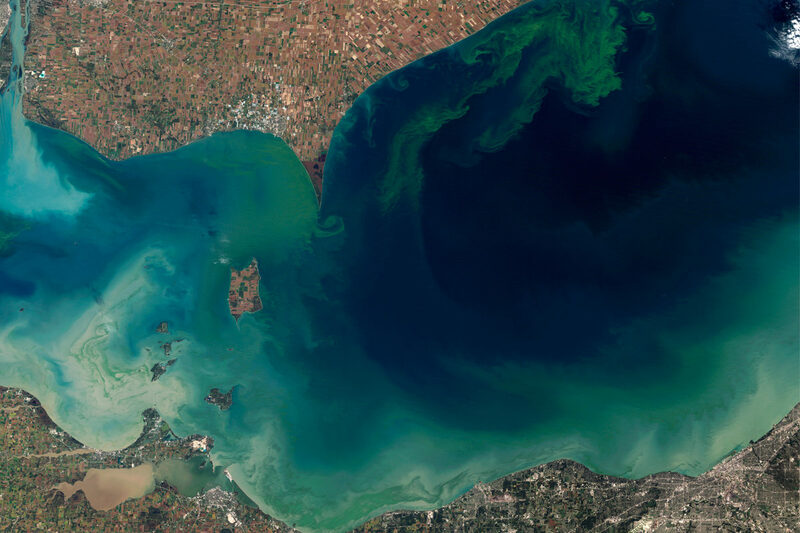 Sourced from nearby Lake Erie, the water had been contaminated by microcystins, a class of toxins caused by microcystis, a blue-green algae that was blooming throughout the southwestern corner of the lake. If it comes in contact with the skin, microcystin causes rashes; if ingested, it can also cause vomiting and liver damage. Miller recalls the chaos that ensued: bottled water was cleared out of the stores; citizens lined up in the hot August sun to wait for rationed water; and hoarding and fighting ensued. Scientists and conservation experts agreed that the algae blooms had been caused, at least in part‚ by agricultural runoff from the region’s surrounding vast farmland. It was the first time Miller could recall hearing phrases like “nutrient runoff” or “phosphorus pollution” in the news. “Until the problem [of ag runoff] found its way into our intake well, we never talked about it,” Miller says. But the problem had been festering for a while; as early as 2011, scientists had recorded a larger bloom in the Great Lake directly north of the city. 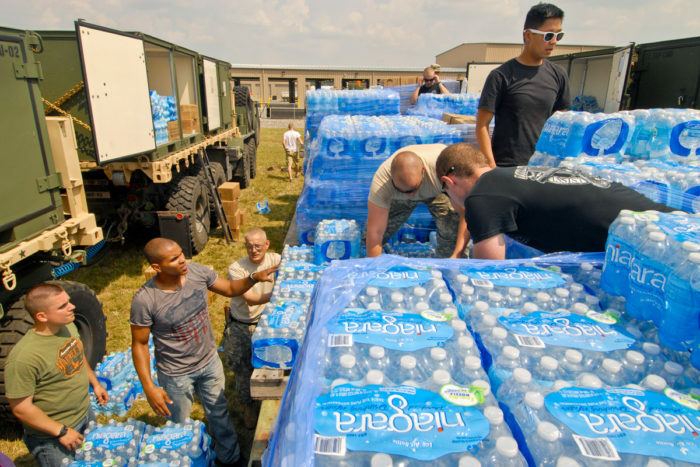 But the 2014 water crisis became a “boiling point” that prompted citizen involvement. Now, as the algae season grows near, and climate change threatens to extend the window when blooms occur, the Bill of Rights is pitting farmers against environmentalists in a battle that could set an important precedent for other parts of the country. Rights of Nature philosophy recognizes the natural world as inherently independent and views humankind as stewards tasked with protecting resources rather than controlling them. “We weren’t the first to focus on Rights of Nature,” Crystal Jankowski, also an organizer with TfSW, tells Civil Eats. “Native tribes have long used this philosophy. We took their millennia of knowledge and modernized it [for] our legal system,” she says about the grassroots effort in Ohio. TfSW was aided by the Community Environmental Legal Defense Fund (CELDF), a nonprofit, public-interest law firm based in Pennsylvania. Pioneers in the community rights movement, in 2008 CELFD worked with lawmakers in Ecuador to draft Rights of Nature language to add to the country’s constitution. 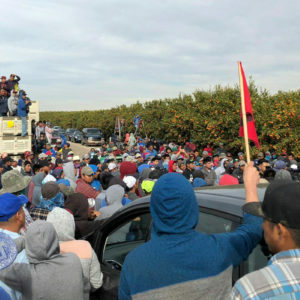 Activists in Bolivia soon followed, as did others in New Zealand and India, who mobilized to gain rights recognition for specific bodies of water in their countries. Several indigenous groups in the U.S. have also since moved to formally adopt Rights of Nature philosophy for important natural resources in their communities. Ohio’s Wood County, south of Toledo and bordered on the northwest by the Maumee River, is defined by generations of proud agricultural tradition. It’s one of 17 Ohio counties that make up the Maumee watershed’s more than 4 million acres, the largest watershed in the Great Lakes. More than 70 percent of Wood County’s land is in agricultural use. The farm has received support from the Ohio Farm Bureau Federation, the largest agricultural advocacy group in the state. Drewes has asked for a preliminary and permanent injunction to prevent enforcement of the law and on March 18, the City of Toledo agreed to preliminarily hold off on enforcing the measure. 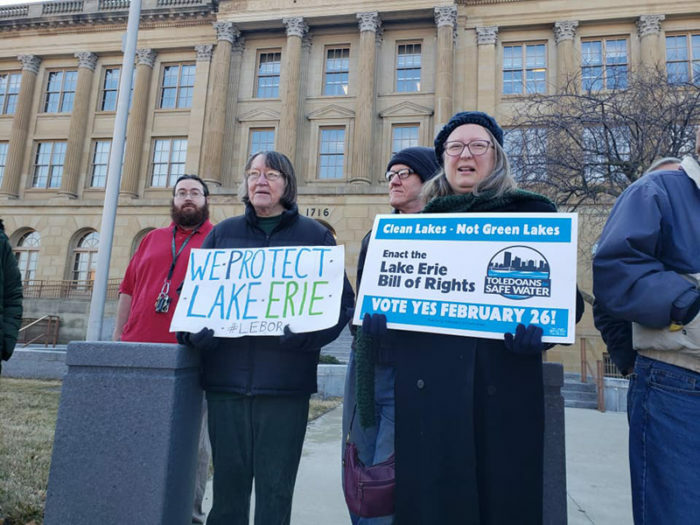 On the same day, attorneys filed on behalf of the Lake Erie Ecosystem and TfSW a request for recognition as defendants in the case as well as a motion to dismiss Drewes’ lawsuit. Not all farmers in the area share Drewes’ feelings. 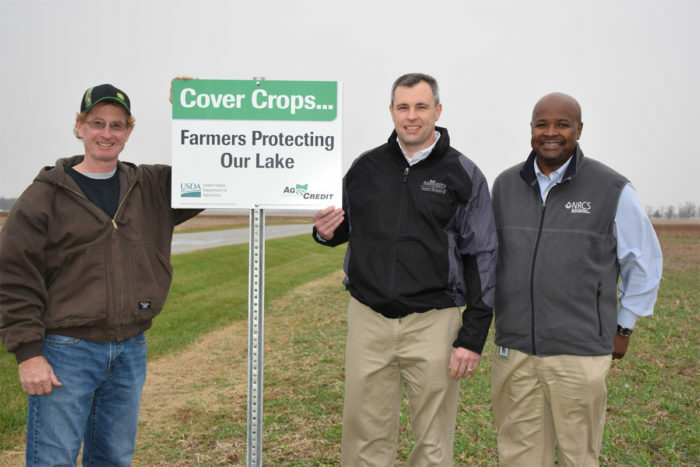 Joe Logan, a local farmer and president of the Ohio Farmers Union, is quick to acknowledge that Lake Erie’s pollution problem is fueled by agricultural practices in the region. But he doesn’t interpret the new measure to mean that farmers can’t fertilize their fields. He tells producers who feel threatened by the Bill of Rights that their livelihoods are not in jeopardy if they aren’t over-fertilizing their fields or applying manure haphazardly. “We [didn’t] get into the situation with the phosphorus levels we have right now without having a few bad actors,” he says. 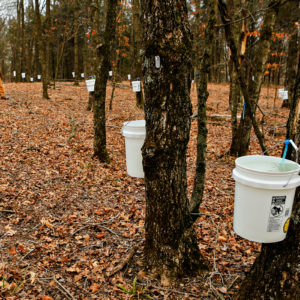 The industry doesn’t take kindly to the idea of being forced to do anything—especially not when it comes to conservation practices. In the meantime, Lake Erie’s neighbors are waiting to see what will come of the lawsuit and others that have been rumored to follow it. Vickie Askins and her husband, Larry, are Wood County residents and members of the local farmers union. Vickie also serves as the coordinator for the Ohio Environmental Stewardship Alliance, a citizens’ action group. For 15 years, she has traversed the region, rallying against the establishment of factory-scale animal farms, which she pinpoints as a crucial element in Lake Erie’s pollution woes. Despite a reduction in easily identifiable sources of pollution through investment in the area’s sewage treatment facilities and wastewater treatment plants, as well as historic lows for phosphorus fertilizer sales in Ohio, and the removal of phosphate detergents and lawn care products from the marketplace, phosphorus-fueled algal blooms continue to be the norm for Lake Erie. “We believe that most of the pollution is coming from agriculture in the western Lake Erie basin and mostly from manure generated by intensive animal production,” Askins tells Civil Eats. She points to the growth of CAFOs in Ohio, Michigan, and Indiana over the decades as mirroring the timeline of the Lake’s most recent pollution problem. The organizations found that the number of animals in the Maumee watershed more than doubled, from 9 million to 20.4 million, between 2005 and 2018. They estimate that, as a result, 69 percent of all the phosphorus added to the watershed each year comes from factory animal farms in Ohio. A 2017 report issued by the Ohio Environmental Council (OEC) came to a similar conclusion. Analyzing public data, the report found that the Ohio Department of Agriculture (ODA) issued permits for 231 CAFFs, or Concentrated Animal Feeding Facilities, in Ohio in 2017. However, this figure doesn’t account for the “thousands” of smaller, yet still intensive, operations that are outside of the ODA’s permitting requirements, the organization noted. The OEC reported that in 2017, permitted facilities in Ohio housed more than 66 million animals, producing almost 900,000 solid tons of manure and more than 1.5 billion gallons of liquid manure. In the western Lake Erie watershed, the 64 permitted operations alone produced nearly a quarter of the solid manure in the state and almost half of the liquid manure. Manure is commonly spread or sprayed on farmland as fertilizer. But Askins doesn’t believe there’s enough usable land in the watershed for this manure to be spread at what she calls “an agronomic rate.” In a press release announcing the OEC report, Adam Rissien, then director of clean water for the organization and author of the report, agreed, stating that his research showed that manure is applied excessively on fields in the western Lake Erie basin over 70 percent of the time. In 2014, the Askinses filed a lawsuit, which was ultimately unsuccessful, against the U.S. Environmental Protection Agency (EPA), the Ohio EPA, and the ODA claiming Ohio’s CAFO permitting process was in violation of the U.S. Clean Water Act. 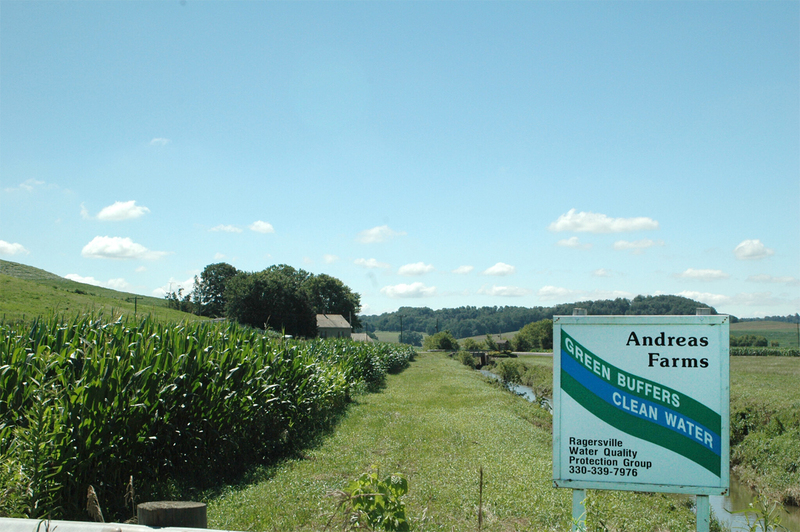 The lawsuit focused on the Ohio legislature’s approval in 2000 of a bill that moved part of the National Pollutant Discharge Elimination System (NPDES) permitting program for CAFOs from the Ohio EPA to the ag department without first obtaining approval from the U.S. EPA. Askins calls ODA’s permitting procedures a “scheme,” saying that numerous loopholes exist in a process devoid of public scrutiny. In particular, she points to the program’s “distribution and utilization” method of manure management, which allows manure to be sold by a CAFO to a third-party manure broker, as one of the largest loopholes. When this happens, the farmer who buys the manure has little accountability for what eventually happens to the nutrient. Logan also questions many farmers’ focus on applying liquid manure, because it is more likely to seep into waterways. On his own operation, he has encountered firsthand the issue of trying to control runoff despite using various techniques and technologies to prevent it. The Maumee watershed in Wood County is in an area that was historically swampland. Called the Great Black Swamp, legislation was passed in 1859 that allowed the construction of ditches to drain the swamp—similar to the tile drainage system in Iowa—and dramatically transformed the landscape. Lake Erie Waterkeeper, a program of the International Waterkeeper Alliance, notes that “[t]here are three miles of man-made ditches to every mile of natural stream” in the region. The watershed also must contend with the increasingly obvious impacts of climate change, such as heavier rainfall events, which have been documented as a contributor to Lake Erie’s pollution woes. Lawmakers are taking note: In mid-March, Ohio Governor Mike DeWine announced that his 2020-2021 proposed budget includes an allocation of $900 million for water quality improvement efforts in the state. The funding measure awaits approval by Ohio’s legislature. In the meantime, TfSW has received information requests from around the world due to global media coverage of the Lake Erie Bill of Rights. 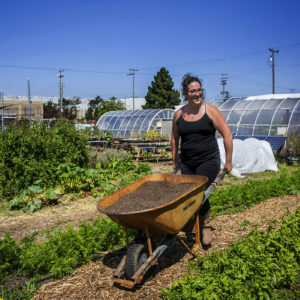 “The number of communities that have connected with us to ask how we got the initiative on the ballot has been absolutely amazing,” says the group’s Crystal Jankowski. According to her, community members in the municipalities that dot Lake Erie in both the U.S. and Canada have also been in touch. Jankowski says they mirror her group several years prior: frustrated residents wishing to protect the body of water in their backyard. As an Ohio produce farmer I believe that I have a “horse in this race” and can make beneficial comments. The main problem is that the system only takes into consideration the foot print of the animals when calculating for “housing” and waste elimination is relegated to a que sera sera calculus. This is attested to by the, literal, mountains of manure out in Colorado. If we can integrate the manure back into the soil at a sane rate, great, if not, well isn’t that what manure lagoons are for? While on that topic, if those aren’t a Faustian dance with the devil, I don’t know what is. Manure must be digested by bacteria, fungi and the other thousands of species that make up a healthy soil biota. All which operate on an aerobic paradigm. Turn the poo anaerobic and you’re in pathogenic territory. No one prospers. So if my home’s septic system was engineered to “digest” the waste of my family alone, and I have a thousand people a day use it, it will rapidly backup; first out of the toilet; then out the front door; eventually reach the road which has a drainage that terminates at Lake Erie. This is exactly what the hyper-farms have done. They’ve over produced mountains of products and poo with zero consideration that their war on hunger was a de facto Pyrrhic victory. Nature may be slow to speak but ignore her counsel at peril of your life and all whom you love. Elimination and potent remediation. A zero waste bridge to less intensive animal farming, soil regeneration, and a highly scalable bioconversion option for the toxic manure lagoons. Not only can BSFL tackle residual antibiotics, pesticides, and AMRGs, but at scale they can replace substantial petrochemical fertilizers and avoid the toxic runoff these synthetic compound unleash on our waterways. No panacea, but it would be great to hear the accusation as we leverage the approach more and more. Farmers have largely been enslaved to sets of bad practices intended to maximize profits for "big ag" suppliers and "big retail" sellers. The farmer is ultimately the loser in this game, but has been carefully taught that to be "modern" he has to adopt practices that go against rather than working with nature. Profit at the farm gate has largely stagnated, but agribiz companies are worth tens of billions. Regenerative and organic agriculture is a solution, but "big ag" is fighting it, tooth and nail, because for them, short-term profit is king.